Tata Value Homes has stepped into the arena of Noida’s real estate to give a high time to its competitors in the residential segment of the city. The name of their upcoming housing project is Tata Value Homes Destination 150. 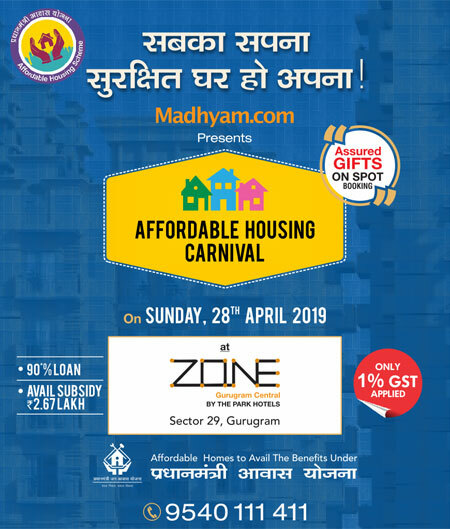 As stated in the name, the project will be come up in the sector-150 of the city which is quite near to Noida-Greater Noida E-way and Yamuna Expressway. The project, Tata Value Homes Destination 150 built in association with Lotus Greens is offering two options with spacious 2 & 3 BHK apartments that are completely equipped with the availability of smart home features. The available size of these apartments extends from 1100 Sq. ft. to 1575 Sq. ft. 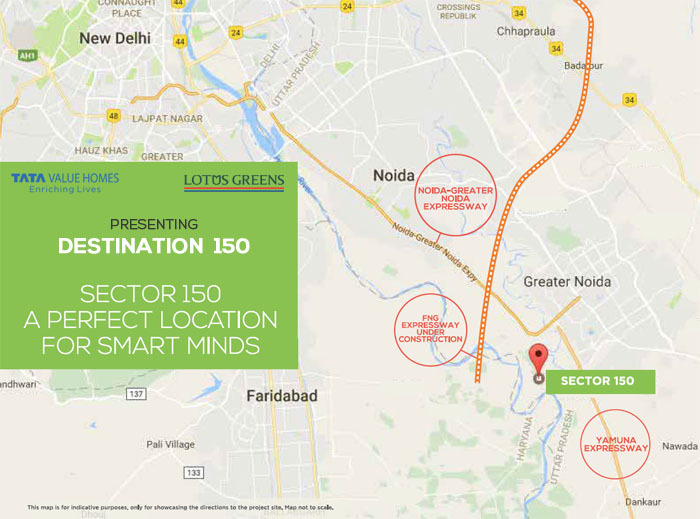 The unique feature with Tata Destination 150 Noida is that it has huge central greens and further gets extended with the valley walk and the landscaped plaza space. Further, the project shares close proximity to educational institutions like Gautam Buddha University and are just a 20 minutes drive to Sector 18 Noida. In addition to these, the residents can enjoy a swift access to Kalindi Kunj and DND flyway. Tata Value Homes Destination 150 also houses retail, F & B Kiosks in a separate commercial area. Talking about things that are served separately in this project are kids play zone and various courts for various sports activities. Now, it can be really not just thought, but believes that Tata Value Homes has bought a residential concept which is worth of every penny spent on buying an apartment here.